The Racing Rules of Sailing are approved by the International Sailing Federation (ISAF), the world governing body for sailing whose members are the national governing bodies for the 118 member nations. Anyone participating in sailboat racing should familiarise themselves with the Rules and there are several excellent guides available, such as 'The Rules in Practice' by Bryan Willis. The racing rules for sailing can be found on the Internet at the following location www.sailing.org. 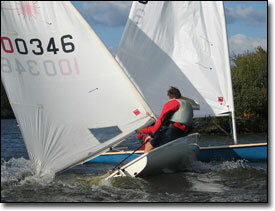 A body of rules governs competitors in the sport of sailing that they are expected to follow and enforce. A fundamental principle of sportsmanship is that when competitors break a rule they will promptly take a penalty or retire. A boat or competitor shall give all possible help to any person or vessel in danger. A boat shall carry adequate life-saving equipment for all persons on board, including one item ready for immediate use, unless her class rules make some other provision. Each competitor is individually responsible for wearing personal buoyancy adequate for the conditions. A boat and her owner shall compete in compliance with recognized principles of sportsmanship and fair play. A boat may be penalized under this rule only if it is clearly established that these principles have been violated. A disqualification under this rule shall not be excluded from the boat's series score. b) To accept the penalties imposed and other action taken under the rules, tribunal not provided by the rules.